Stop Settling For Less – You & Your Business Deserve More! These past two weeks have been CRAZY! 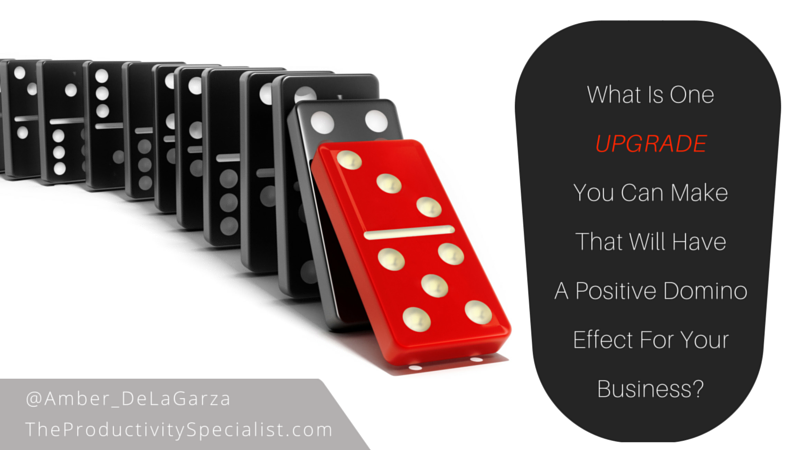 I’ll begin by telling you what propelled me to make several upgrades in my business recently. I desperately needed a new phone. It sounds simple but I had been putting it off for a long time because I dreaded the idea of starting all over with a new phone. I had numerous (now looking back, irrational) thoughts holding me back from making the necessary upgrade to my phone, and therefore my business. Would I lose pictures? Apps? Videos? Would I like the new phone? How long would it take to reconfigure all of my preferred settings? And most embarrassing to admit, I had serious separation anxiety about having someone take my phone and wipe it clean before having my new phone set up. So I waited, and I waited, while my poor, pitiful phone puttered along, gasping for its fleeting, last breaths. The day inevitably came when I could no longer deal with my unbearably slow, overworked, and out of memory phone. So, I decided to stop settling for less and upgraded to the Android Note 5. Revealing my choice of phone feels like a confession of my religion, political affiliation, or thoughts on gun control. Hello, my name is Amber and I’m an Android girl. Oh, and I love it! At the end of the day, I could not be happier with my new phone. The transition was simple. What makes me even happier, however, is that that one decision acted as a catalyst, initiating a domino effect of upgrades in my business. I realized how settling for less had unknowingly been affecting my efficiency and I immediately became a woman on a mission to not settle again. In the last two weeks I upgraded my phone, desktop, operating system on my laptop, internet speed, and a few other small but really cool office gadgets. I don’t want to lie – implementing those changes on top of my routine made me pretty much crazy for two weeks but the effects on my business made the effort worthwhile. Disclosure: I suggest upgrading only one system or technology in your business that demands your attention at a time. Forget doing it all at once. Although it would still be worthwhile, let me tell you from experience that only YOU could tolerate the crazy person you would become. Looking back, it seems my technology and I had an understanding in which I permitted them to co-exist with me for years as long as they didn’t act up too much. Once I had a taste of what was possible, though, I could NOT deny the truth any longer – my standards were way too low and my business and clients deserved better. Yours might too. What Are You Settling On In Your Business? Stop Settling For Less And Upgrade! A number of my clients settle for less in many different areas of their businesses and if it affects their productivity and/or efficiency, it is my job to point those areas out. So, how did I miss the obvious issue in my own business? The answer is simple – I did not have a fresh pair of eyes looking at my business and offering an unbiased perspective. 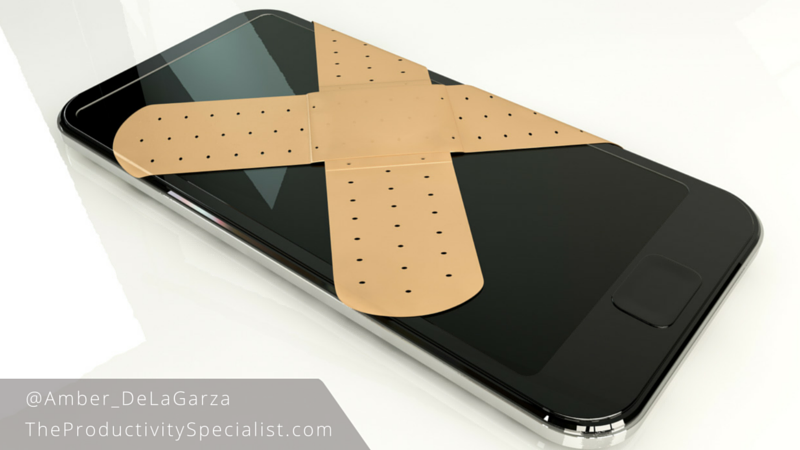 It was not until I used my new phone and realized the extent to which my previous phone’s capabilities had been affecting my efficiency and therefore the growth of my business, that I could admit I had been settling. At that moment I gained the clear perspective I needed to make smarter decisions in my business. 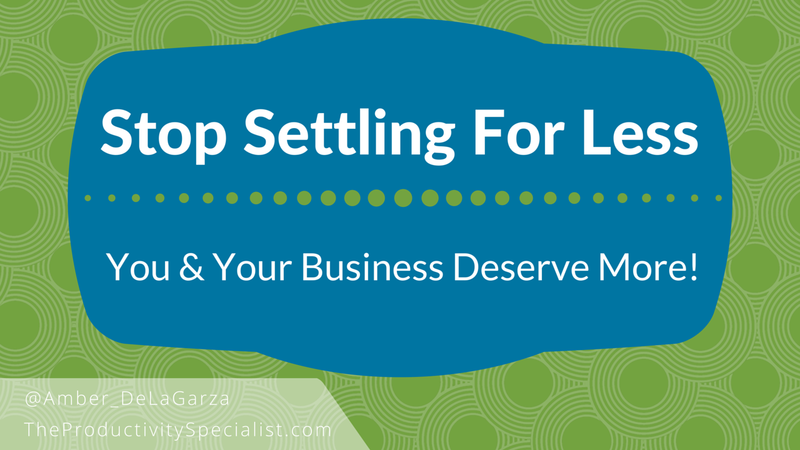 Settling for less in your business costs you time, energy, money, lost opportunities, and clients. Don’t wait until it is too late. Stop settling for less because you and your business deserve MORE! 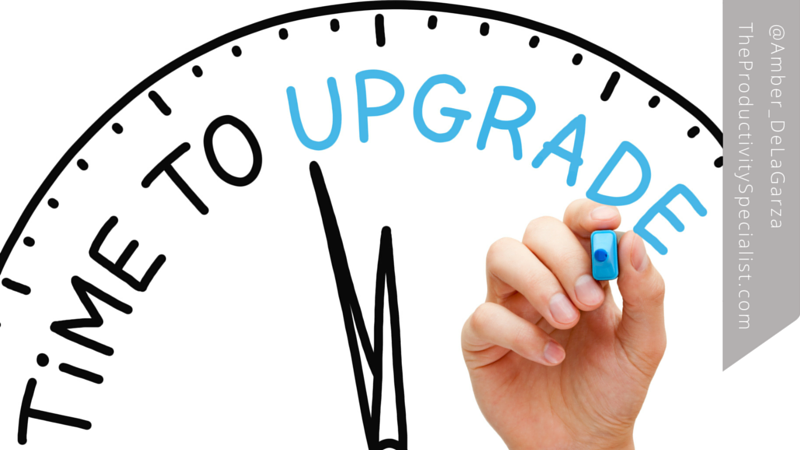 Commit to identifying one area in your business you will upgrade today! Please share your commitment below in the comments.